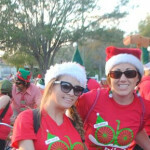 The 2nd annual Winter Wonder Ride was held on Saturday, December 15, 2012. 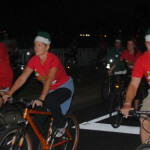 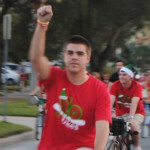 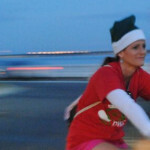 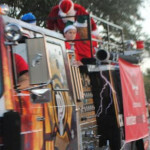 Riders gathered on Davis Island at Fountain Square andtook a scenic route off the island to experience the best of Tampa’s residential Christmas light displays along Bayshore Blvd. 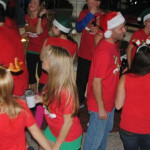 The ride concluded back at Fountain Square, wherethey were greeted with Hot Cocoa, S’mores, delicious food, and live entertainment. 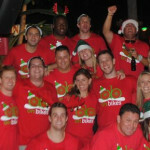 Ticket purchase includeda commemorative onbikes 2012 winter wonder ride t-shirt. 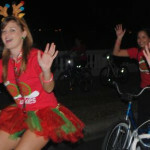 All proceeds from this event went towards the purchase of bicycles that were delivered to foster kids throughout the Tampa Bay area.